Heeft u een vraag voor Kun Hotel? 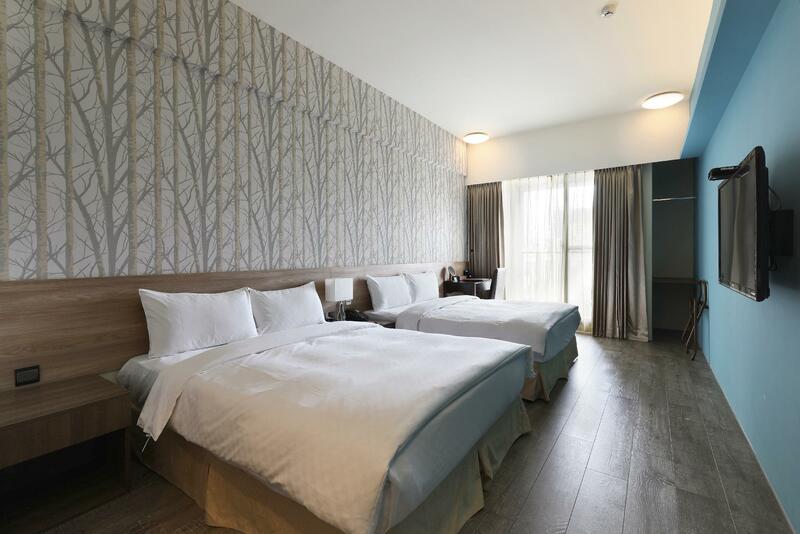 Of u nu een toerist bent of een zakelijke reiziger, Kun Hotel is een uitstekende accommodatie tijdens een bezoek aan Taichung. Het hotel ligt niet zo ver van het stadscentrum: de afstand is ongeveer 6 km en het duurt normaal ongeveer 23 minuten om het vliegveld te bereiken. Dankzij de praktische locatie liggen alle belangrijke trekpleisters in de buurt van het hotel. 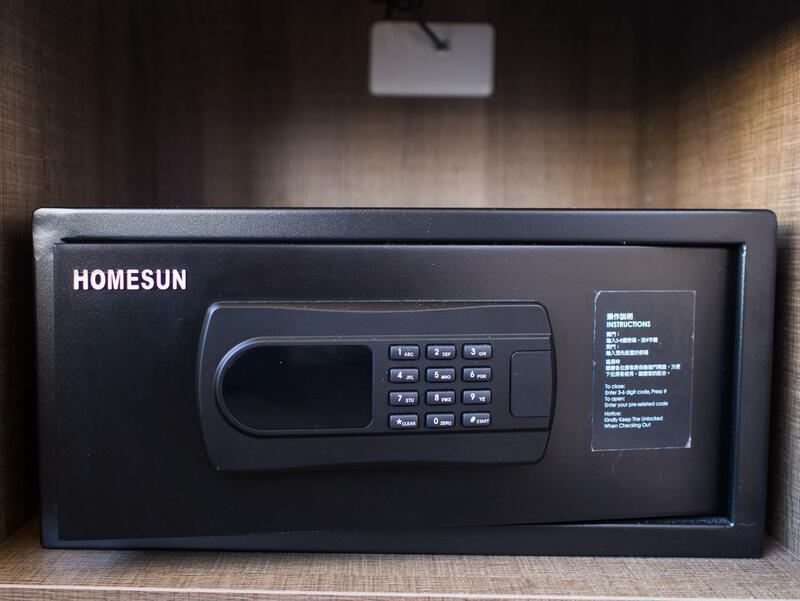 Het Kun Hotel biedt een onberispelijke service en alle essentiële voorzieningen om reizigers een plezierig verblijf te bieden. Gratis wi-fi in alle kamers, taxi service, 24-uur receptie, bagageopslag, wi-fi in openbare ruimtes zijn slechts enkele van de faciliteiten waarmee het Kun Hotel zich onderscheidt van andere hotels in stad. Gasten kunnen kiezen uit 53 kamers, stuk voor stuk plezierig en comfortabel ingericht. Daarnaast garanderen de talrijke recreatieve mogelijkheden dat u zich tijdens uw verblijf kunt vermaken in het hotel. Met een ideale locatie en bijpassende faciliteiten, is het Kun Hotel voor veel gasten precies wat zij zoeken. Aan gasten die het kamertype Eco Plan (eenpersoonskamer – niet-roken) boeken worden geen faciliteiten aangeboden. Bij tarieven voor alleen een kamer kunnen gasten na 20:00 uur inchecken. I would strongly recommend this accommodation for a couples,single traveler, or even business travelers due to the really nice value for the accommodation and every room includes its own parking which you won’t need to spend extra parking fees at the parking lots outside. 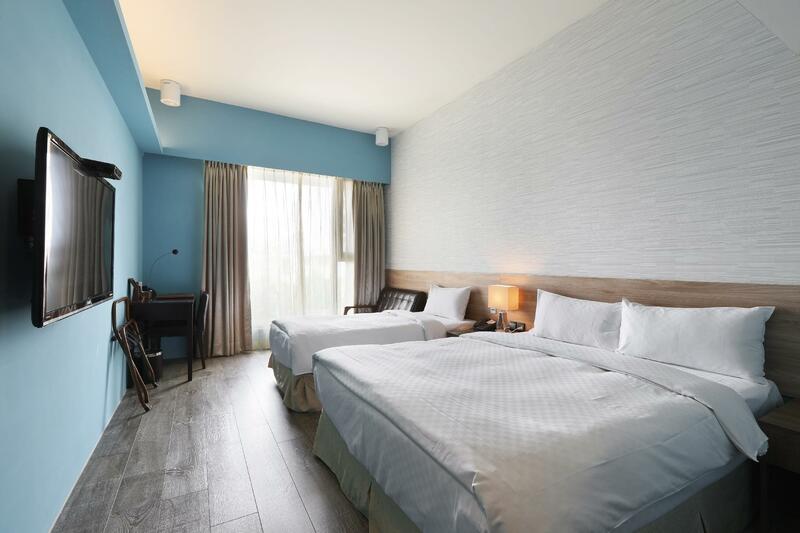 The rooms are nice and simple, while the Fengjia night market is just right beside it. Near to Fengjia Night Market. Budget and good hotel with spacious room. Good location, very near to the busy night market. Distance from convenient store. Quiet Building. The room we booked is a family room. Expected to be bigger, in the end is abit of too small. Toilet area also small. but overall was a very pleasant experience! We arrived late in the night, and the check-in was smooth. The room was small (it’s a budget hotel), the floor was dusty and there were hairs between the bedsheets and quilt cover. My hubby found the queen bed short for his height (180m). Breakfast was very basic. Because of the cleanliness issues, I will not return nor recommend this hotel. 8-10 mins walk to Fengjia Night market. walking the back street area. There is a container restaurant nearby the hotel where it serves Western food. clean room. Room size consider ok but dont expect too spacious. sufficient for 2 big luggage and 2 adult + 1 child. Breakfast spread is limited but still doable. Previously Stayed here few years ago. We booked the older section of the hotel. The facilities seem a bit worn down with cracked wall and aging carpet. 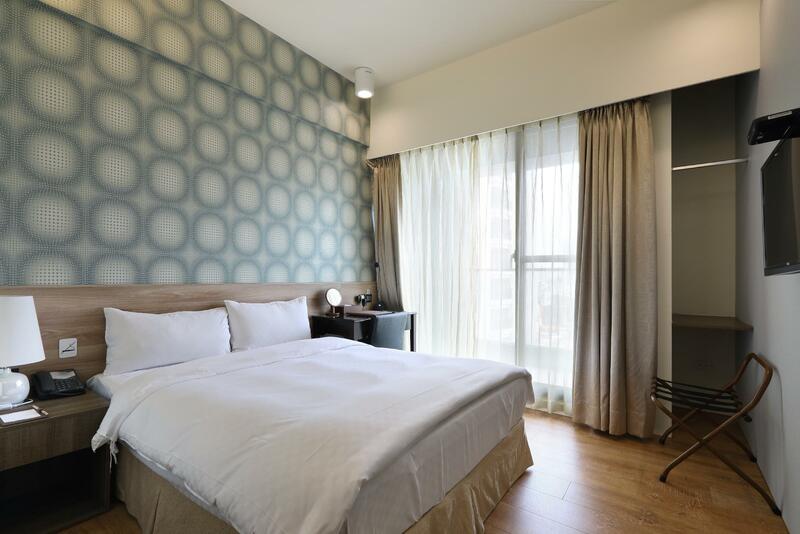 Overall still a pleasant hotel with nice bed and great location near feng jia night market. Was not satisfied with the first room allocated as it reek of smoke smell and very cramp. But staff was quick to allocate another room to us once we feedback but thought the latter room should have being allocated to us sooner rather than later as the latter room fits the picture in booking more. 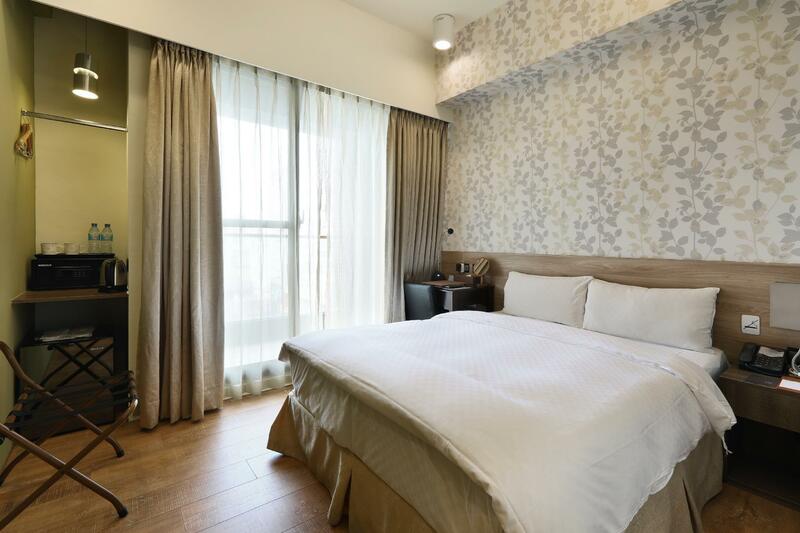 Great location, walking distance to FengChia Night Market, has free private parking, a small gym (2 treadmills + 1 bike), an outdoor jacuzzi, and coin washer & dryer (~70NT per load to wash & dry). Breakfast had lots of variety too (taiwanese style and western style). The only issue we had was that we, unluckily, was there at the same time as a tour group and the tour group booked out most of the rooms in the new building. We were stuck in a small room in the old building, meaning older room. Our experience would've been better if we had been in the new building side. appreciated the coffee in the hotel very much. very hard to find good strong coffee in taiwan and this hotel served them all day for free. room was spacious enough, water pressure was strong, location is great as well. Inexpensive, good location very close to Fengjia night market but without the hustle, pleasant staff and great service, breakfast not grand but just suitably nice and spread of variety. Great hotel to consider. Nice hotel. Rooms are on the small side. Breakfast was great and they change their menu everyday. I was there for 4 nights. Check in very smooth & fast. Special to Alex - the receptionist who is so helpful in explaining the directions and introduce some good food surrounding the hotel. We like the coffee machine and the ginger tea. Make U feel warm in the cold weather. Stone throw away distance from Main street of YIZHONG. Walk to and fro night markets and shopping districts. Good for solo, couple and groups. The place is along the main street, but not noisy to fall asleep. Overall very satisfied. Dear , Thank your for visiting KUN Hotel. We are thankful that you visit us for this journey of yours. It has been our honor to serve you and wish that your are completely satisfied with our services. We are looking forward to hearing from you again. About 10 mins walk to Fengjia Night market. Comfortable beds and clean toilet basic musts when booking for a hotel. Breakfast was so-so. Great service from the staff! Will consider booking at this hotel again. Front desk staff was very friendly, location was great which only about 5-7mins to fengjia night market. I love the breakfast many choice which make feel a great day ahead with a great morning breakfast. We were very pleased with our stay in Kun Hotel. When we arrived, we were provided with a complimentary upgrade which came as a pleasant surprise after a full day of travelling upon arriving at Taoyuan Airport. Kudos to Alan who checked us in that day for his friendly attitude and excellent service. It's relatively near Fengjia Night Market, a short walk of maybe 8-10 mins, but it's very quiet for a good night's rest. Our rooms are automatically upgraded to a bigger room upon our arrival. We are surprised & happy by the arrangement. As we've 6 adults & 2 kids, the rooms are big enough especially with kids around. Location is perfect, 5 mins walk to the Feng Jia night market. Service staff are very friendly & breakfast spread was good too. 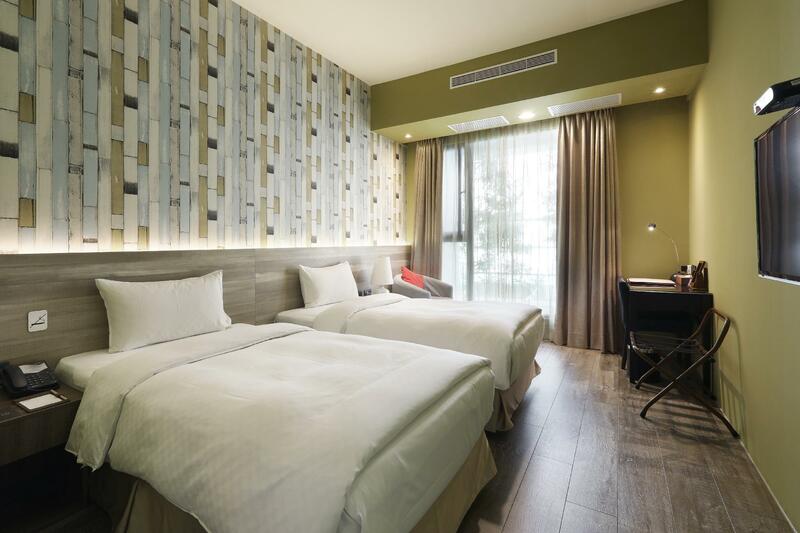 We highly recommended this hotel for your stayed in Taichung. Kun hotel is very near to the FengJia night market within walking distance of 5 minutes , they provided breakfast as well . The room is with balcony . If you are smoker you can book the room with balcony and smoke outside the balcony. 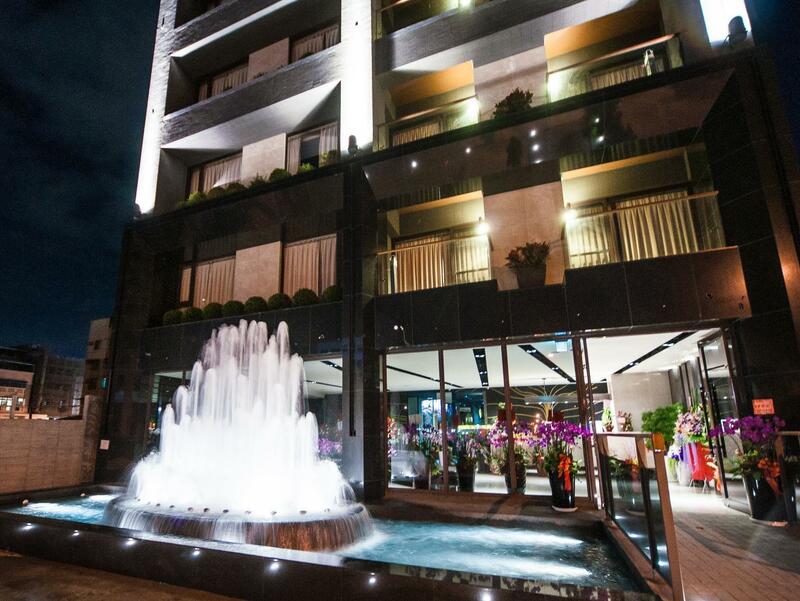 Is around 15 minutes by taxi from Taichung High Speed Train station to Kun hotel . The receptionist has a very good and excellent service . 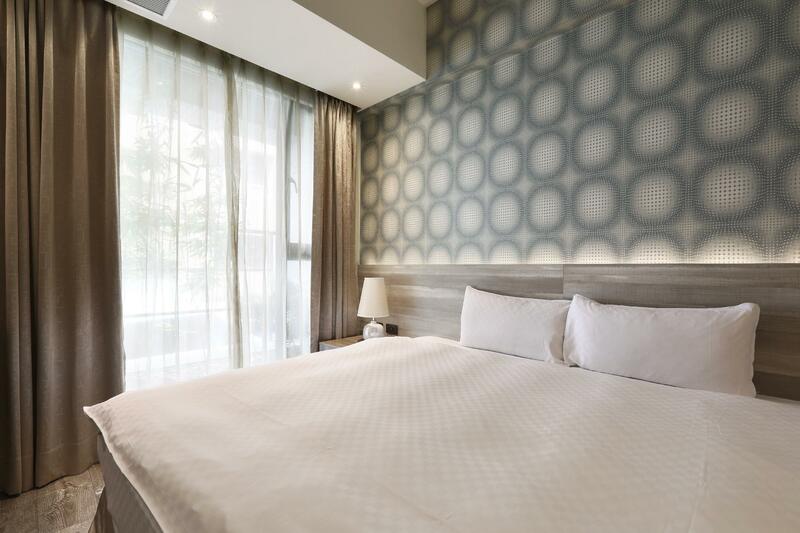 Recommended city hotel, great location if you plan to stroll along Feng Jia night market. Great wifi connection and hotel is clean. We find it quite spacious too as we travel with young children. Cleanliness is satisfactory while breakfast is really fine. Overall value for money if you like short stay here.